The policy to form an innovative district in the East of Ho Chi Minh City (HCMC) has revolutionized the urban management task of the city, lessening the gap between Vietnam and other modern developed metropolitan areas in the world, commented by Professor Doctor Nguyen Trong Hoa. Students are monitoring robots and automatic production systems in SHTP. Photo by CAO THANG. 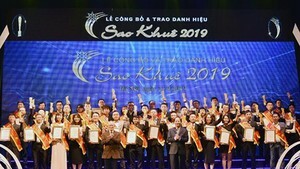 The HCMC Party Committee, in its tenth tenure from 2015 to 2020, identified the breakthrough solution for the city, saying that it should increase the competitiveness via knowledge development, environmentally friendly growth, significant increase of service, high-tech, biotechnological, and supportive industries, especially those related to agriculture and modern rural development. All aims at a sustainable growth for HCMC, beginning with the East side. The Eastern urban area, consisting of district 2, district 9, and Thu Duc district, has many strengths to easily implement innovations. The first and prominent one lies in its modern infrastructure, with the new urban area of Thu Thiem, a high-tech area, an industrial park and export processing zone in Thu Duc District, the student village of the HCMC National University, the national culture area, along with Ha Noi Highway, National Way No.1A, the metro route No.1 from Ben Thanh of District 1 to Suoi Tien of District 9, the Express Way from HCMC to Long Thanh – Dau Giay of Dong Nai Province, and Cat Lai Port, the largest in Vietnam. All of these have created a strong link between research centers, training schools, and application factories for the convenient working and studying of many experts, scientists, as well as the high-quality human resources. As said by Mr. Nguyen Thanh Nha, Director of the HCMC Department of Planning and Architecture, thanks to the high-tech infrastructure and service provision, along with effective financial and commercial aid, many value added chains, ranging from researching, designing, producing high-tech industrial and agricultural goods to merchandise distribution, have been formed in the Eastern innovation area of HCMC. This leads to the area becoming the most developed economic, educational, scientific, and innovative core of Vietnam and even Southeast Asia. The area follows an ‘open innovative district’ policy, focusing on education, technology, healthcare, and economy with multiple choices for citizens. It also has a specialized technological research area to exercise distinct governmental and metropolitan strategies, with centers to launch experimental models of artificial intelligence, superintelligence, or state-of-the-art international economic models. The district is expected to be the place for close commercially technological implementation, linking technological research with commercial production in order to serve citizens and increase the international ranking. It is estimated that thanks to the quantity of infrastructure, the area will no doubt has great high-quality developments, turning it to the foundation of HCMC and even the whole area in Industry 4.0. To effectively fulfill expectations, HCMC needs to learn experience from other nations. One such successful model is Tsukuba City, a special urban area in the Ibaraki District of Japan, with three educational institutes of university-level and a pack of regulations for a scientific city. The city has attracted many experts from HCMC. Leaders of HCMC also paid many trips to similar cities in Singapore, Japan, Germany, and Finland to investigate their models. After these visits, there will be conference between the metropolitan authorities and related local as well as international experts to collect suggestions and plans for the economic and social development of HCMC, beginning from the East side. Strengths of each area, ranging from human resources training, manufacturing, healthcare, scientific research, agriculture, artificial intelligence, are expected to be identified in those conferences for intensive development and competitiveness increase in the globalization process. Solutions to boost the cooperation between research and production, to increase the management ability, to attract high-quality staff and international enterprises will also be focused. The planning process must consider a 1/5,000 planning scale of the Eastern innovation area in the correlation between Vietnam and other nations, between this small area as the service center and the whole HCMC. Being the core of open-oriented development in HCMC, this part will accommodate many scientific research centers for models of artificial intelligence, superintelligence, as well as new international economic models. All are to make the area the most seek-after one in Vietnam and Southeast Asia in order to attract high-leveled researchers, successful business people, and elite international citizens. The innovation district was first mentioned in the 1950s in the USA and quickly introduced in other major cities worldwide, especially in the recent decades. In Vietnam, in the end of 2017, Secretary of the HCMC’s Party Committee Nguyen Thien Nhan raised an idea of combining the three districts of 2, 9, and Thu Duc into an innovative urban area. To implement that idea, the Vietnam National University HCMC asked its Information Technology Park (ITP) to do thorough research on transforming the East side of the city. It is aimed that in 2020, ITP will become an active startup ecosystem with around 100 startup businesses, 2,000 working positions and places for internship each year. We always focus on creating a favorable environment for research and development activities, training classes, and incubation process for startups. 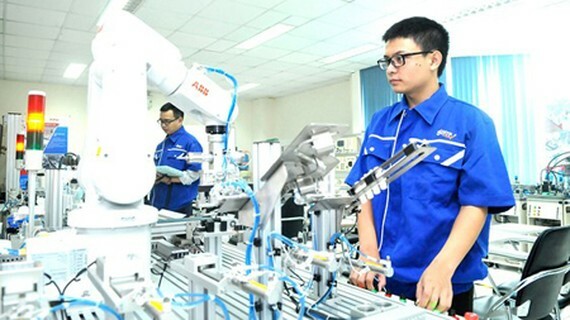 Until now, scientific infrastructure investments from enterprises have become fruitful, producing high-tech merchandise regarding microchip, Nano-technology, biotechnology, electronics, all of which are the foundation for forming a high-tech industry in Vietnam. The Saigon High-tech Park (SHTP) has always strictly followed guidance of the metropolitan authorities, cooperating with the Vietnam National University HCMC and other research institutes or universities in the local area to form the scientific urban district in the Northeast of the city, with superior living standards and working environment to traditional economic models. SHTP is also increasing its international collaboration with other nations as to science and technology, training and incubation processes for startups. It has become an official member of the International Scientific Park Association (ISPA), the Asian Scientific Park Association (ASPA), and has formed strong links with organizations like Amcham, Eurocham, and Jetro as well as major universities in the world. All has made SHTP an ideal destination for R&D investors on state-of-the-art technologies.